Printable division worksheets: individual or bundle, quizzes, & reference. 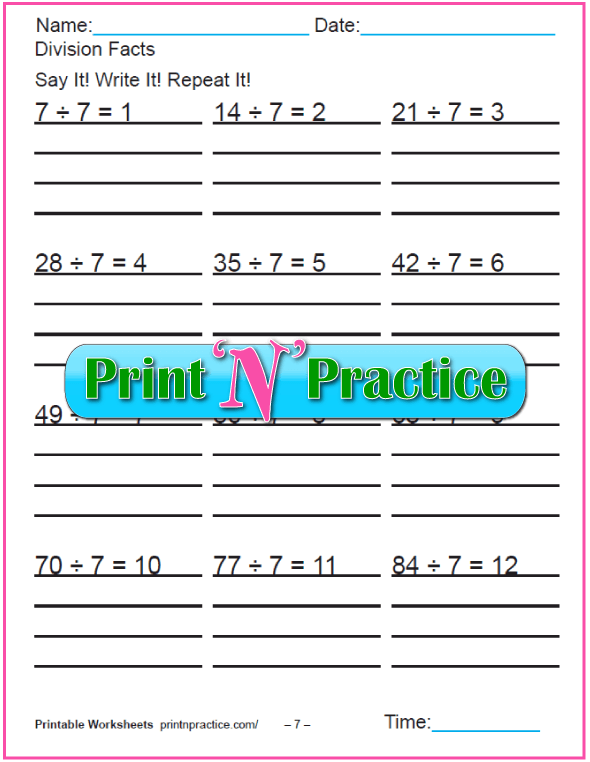 Multiplication to division worksheets, 2 in 1. 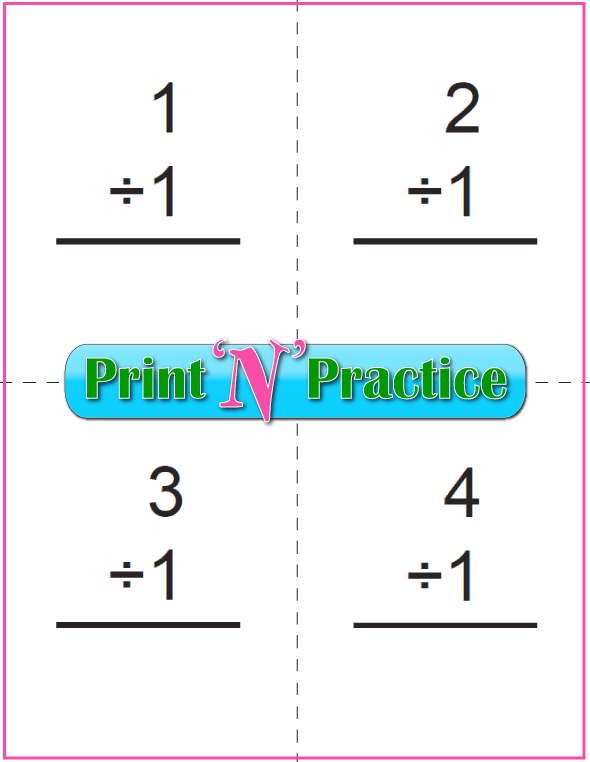 Printable division flash cards, blank and answer sides. 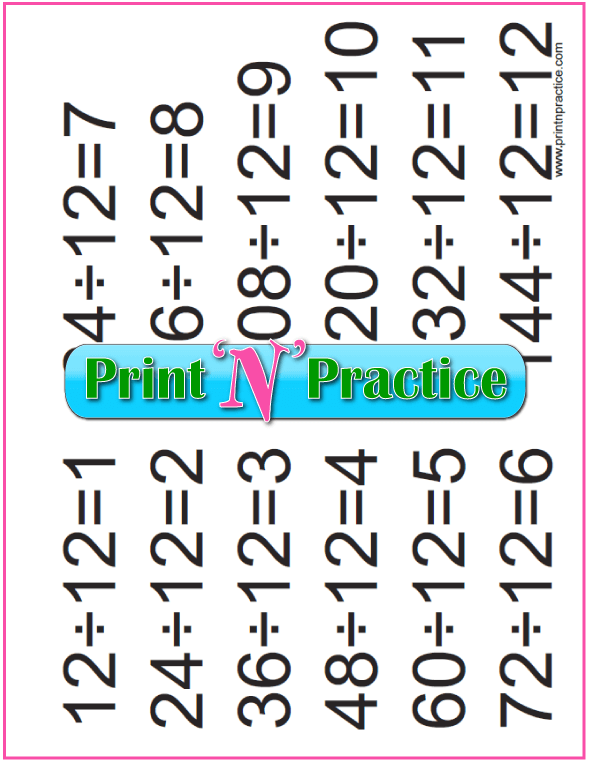 Large division charts: for Math posters and clipboards. This is our division page with the best links for learning the division tables. 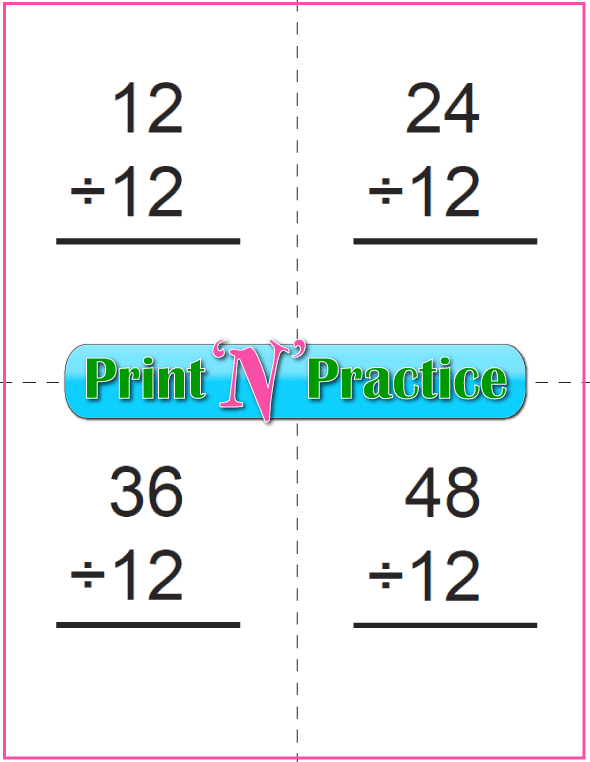 Once your kids begin to understand the concept of multiplication they can begin working with division since division undoes multiplication. 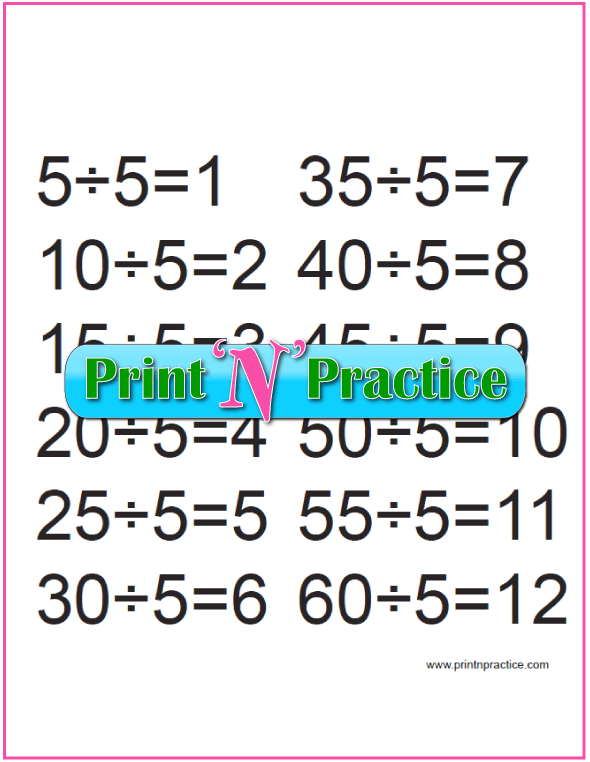 On the other hand, if your kids already know their multiplication tables, they'll be able to learn division quickly. 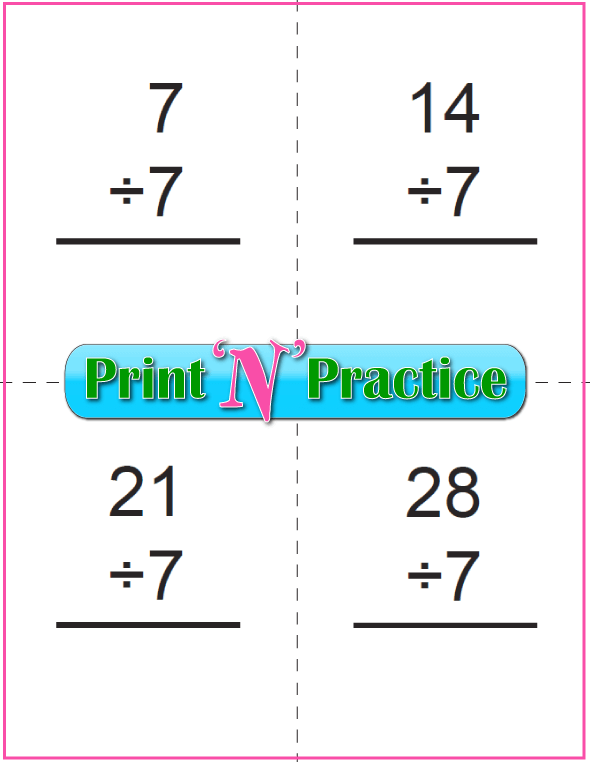 Division is the inverse of multiplication. 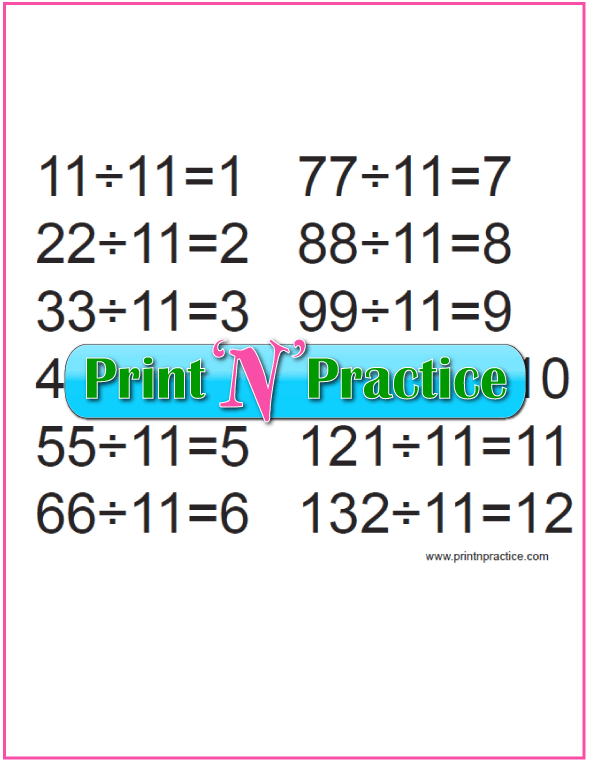 It is also the last of the four tables to memorize. This is a hopeful thing to remember, except it is also true that most of us need to review each year for several years. How many times do we hear it said that, "They forgot everything they knew." This page has printable division worksheets that are perfect for beginners and for those who simply need to review their facts. 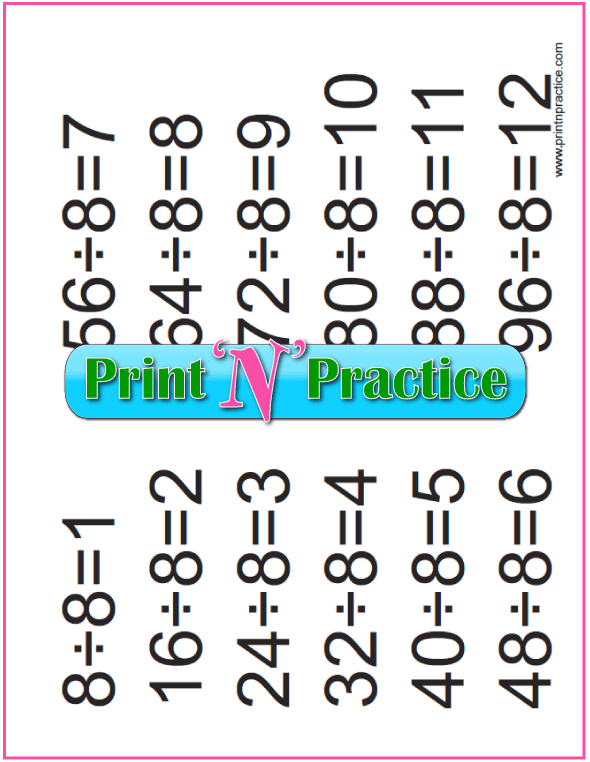 Take a moment to see how helpful our practice worksheets, flash cards and Math videos are and bookmark this page for more division practice later. Bookmark this next page for our twelve division flash cards videos. Never spill the flash cards again when you use our division videos. 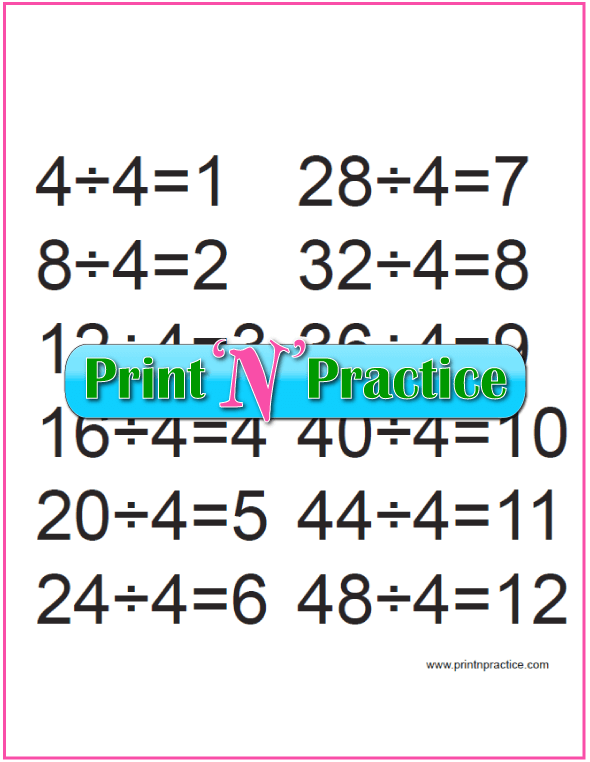 Your kids can use these videos for quick practice and they can write the Math facts three times each to practice division. We have the division tables through the twelves below that have the equations for them to copy three times so they start with the right answers. I find that learning the multiplication tables is necessary before moving to division. 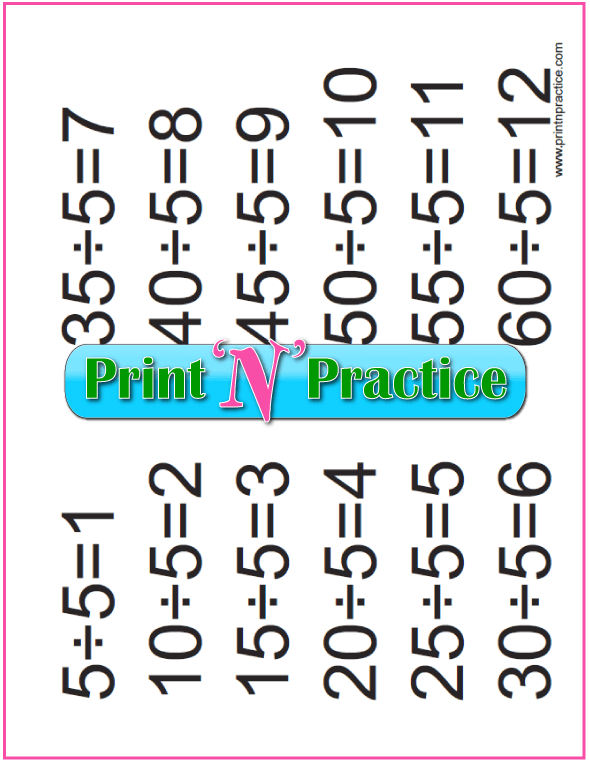 They can be learned together, but I find it best if at least the first few multiplication tables are learned before tackling division. 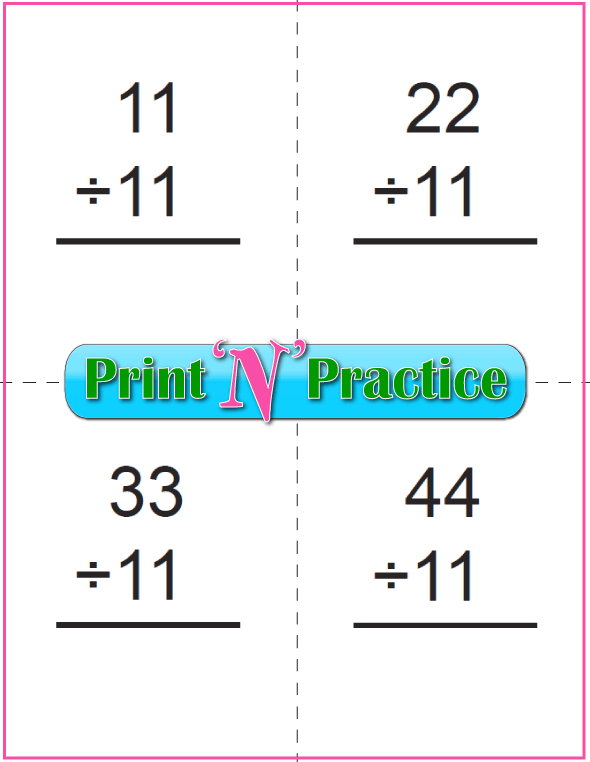 It helps to teach the idea of sets and groups in multiplication first. 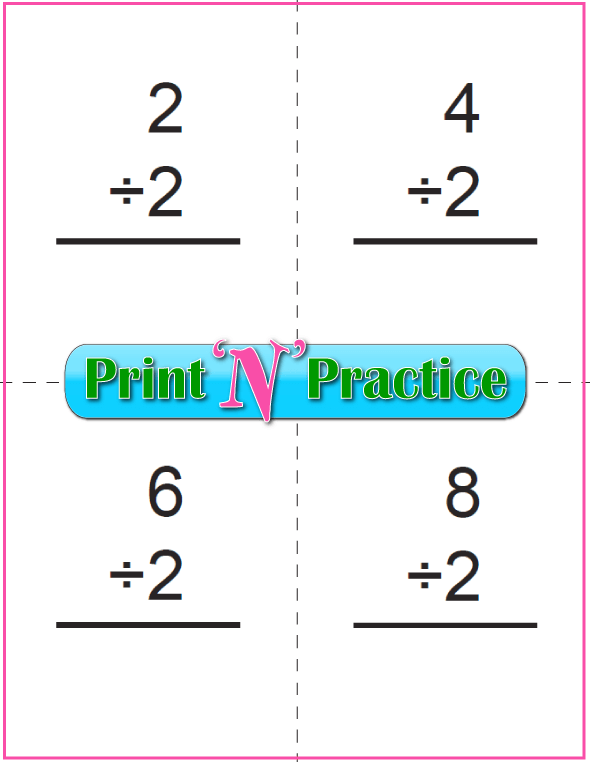 Division doesn't really have to be a separate table - kids can just "undo" the equation. 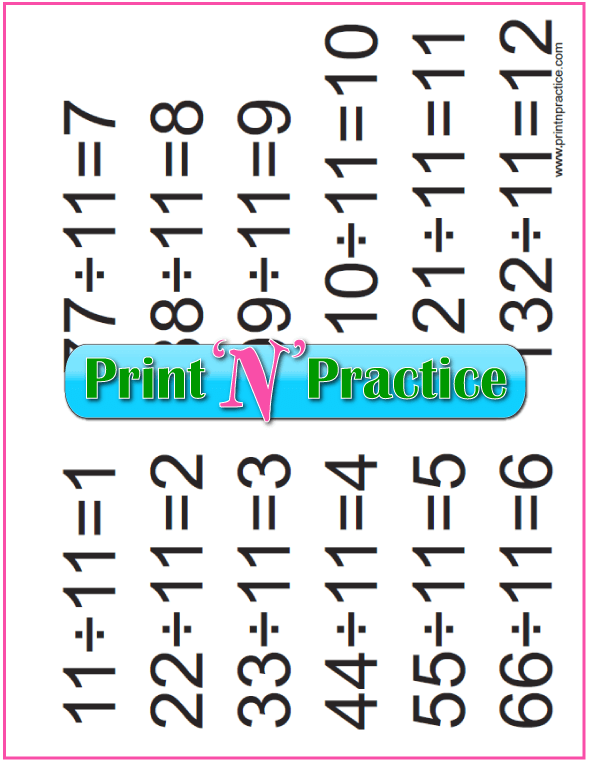 Division itself is also the foundation for fractions and decimals, so these are super important facts to know through the middle school years. 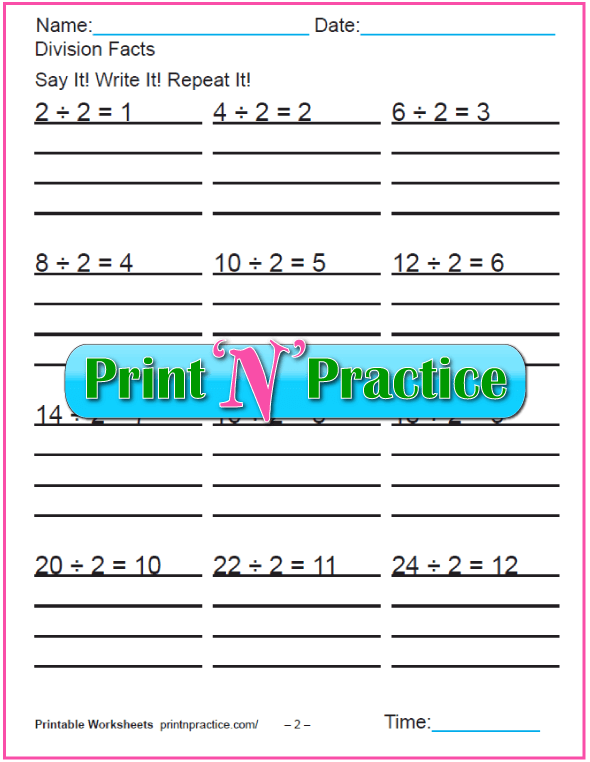 Students can use the following printable worksheets to copy each of the basic division problems, or division equations, to practice them three times each. If the students will say what they write, they will remember the division Math facts better. Practice, practice, practice. 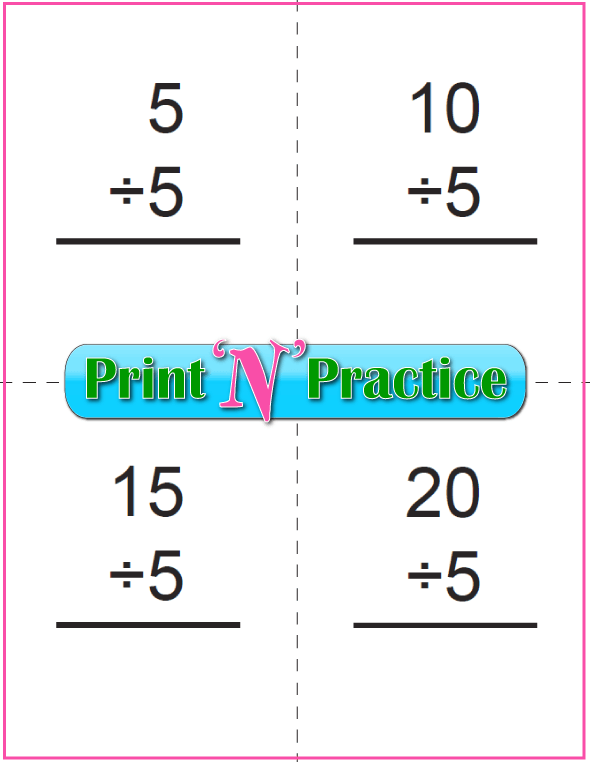 Anytime your students say the equation or the answer wrong, have them quickly repeat the right version three times. This really makes for painless correction if you keep the review quick and happy. 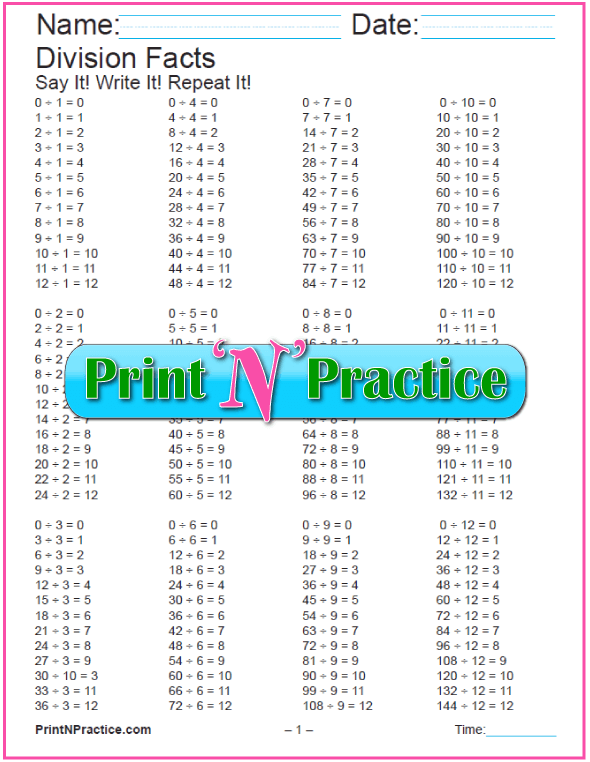 The first division sheet here is a reference chart that you can keep in your children's binders. 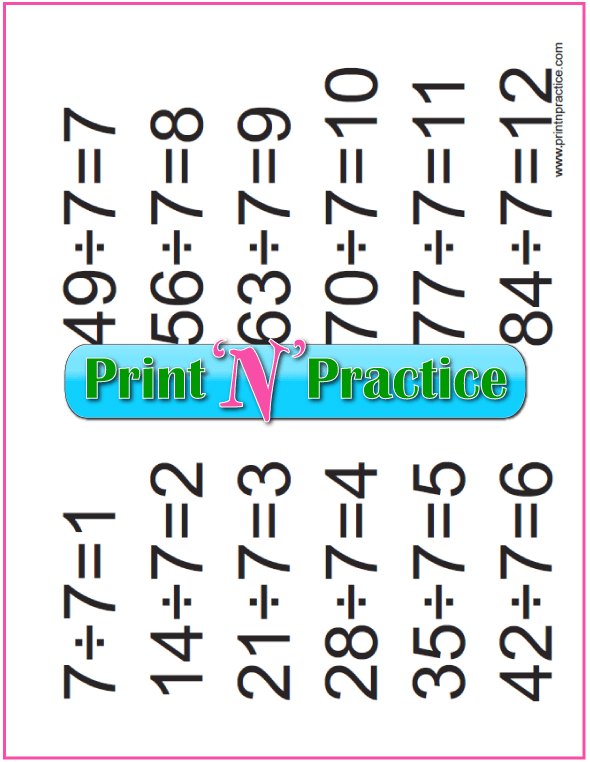 We print ours on card stock to keep for several years and I put the multiplication version on the other side. 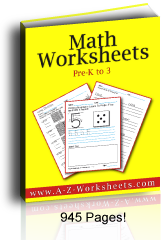 The second set in the middle has all twelve third grade division worksheets for copy work in one bundle. 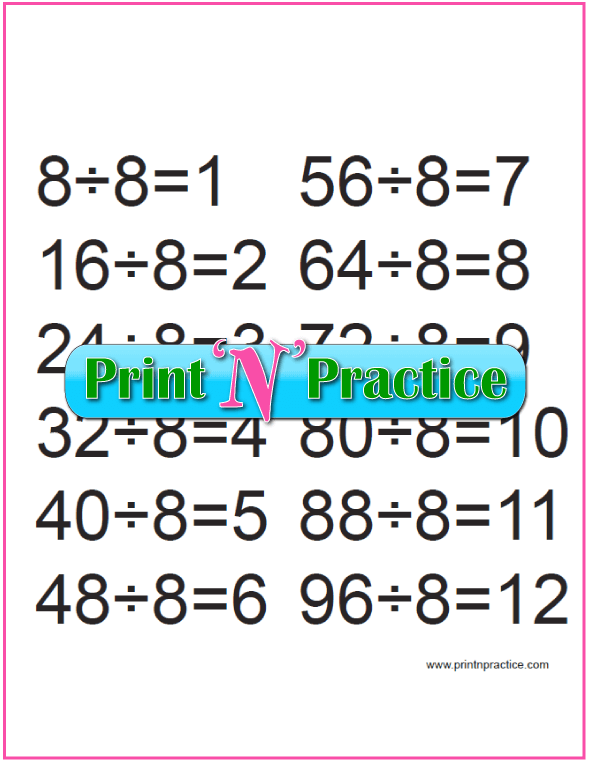 The next set on the right has twelve division quizzes for practice. I find that. 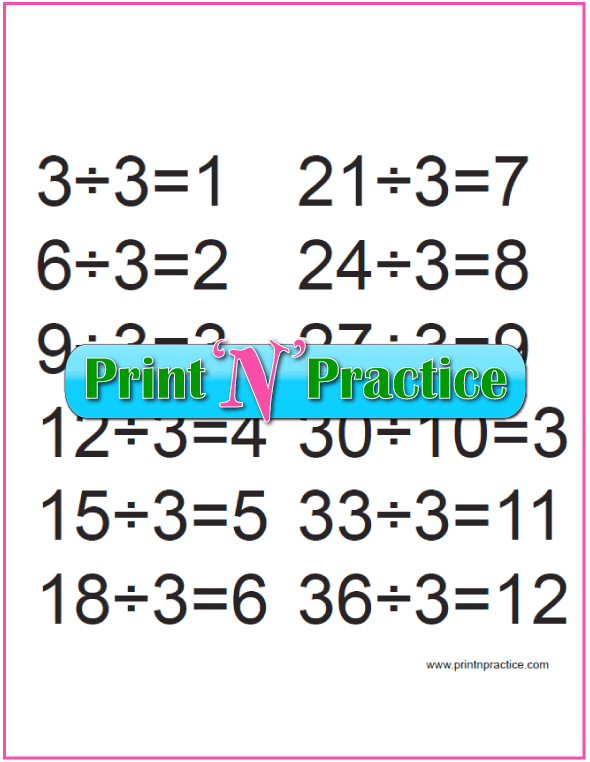 if the children read the equations at the top three times each and quickly, they finish the page sooner and are more confident with division. 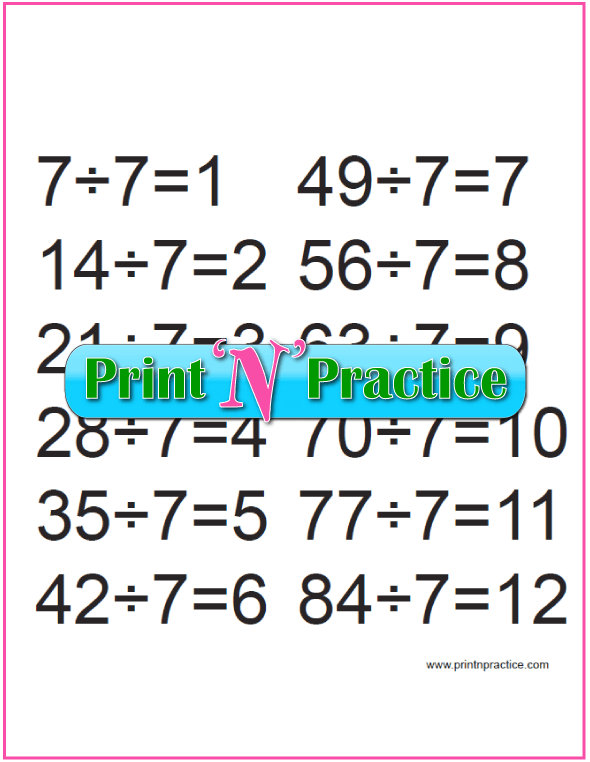 These have the math division table at the top of the page and practice division problems to answer at the bottom which I think is open book at its best. 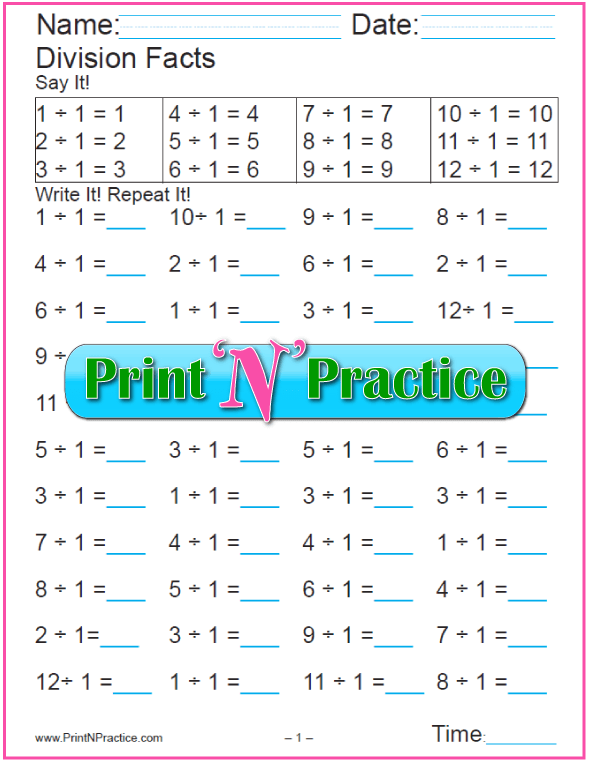 This set of worksheets is the best we have used with our children for building confidence and speed with the division facts! 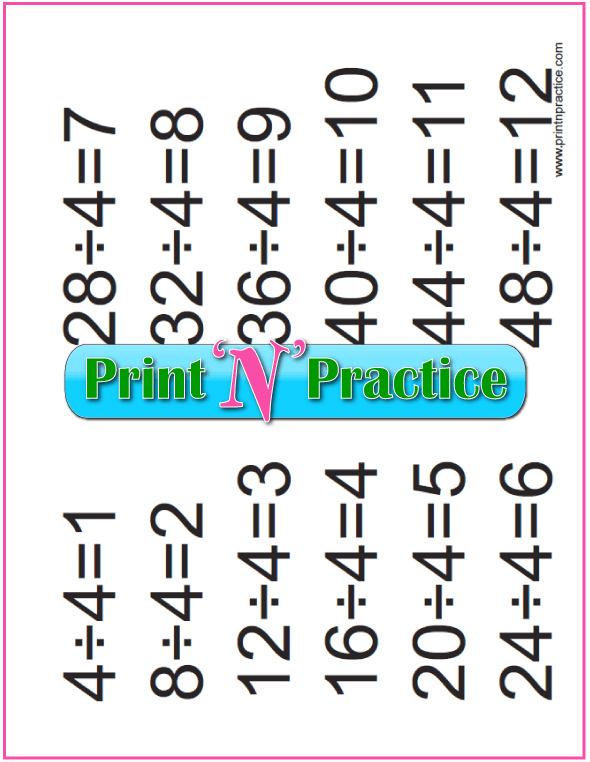 See our printable division flash cards below these worksheets. 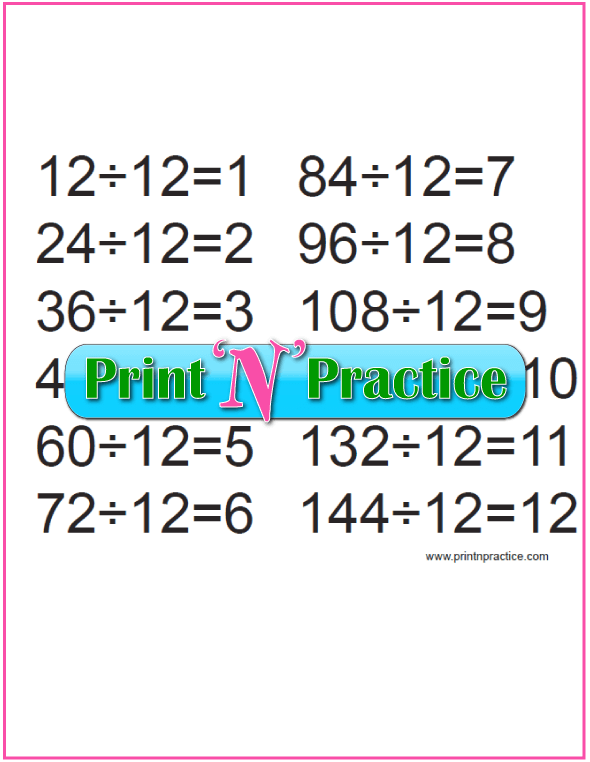 12 Division Quizzes With Chart At Top. 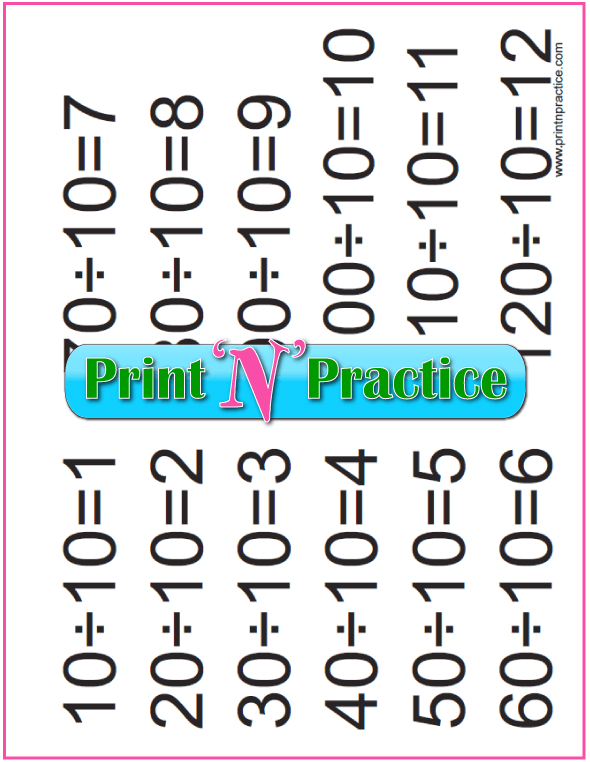 Use these concise multiplication and division 2 in 1 worksheets to demonstrate that learning the multiplication tables is most of the work in learning the Math division facts. 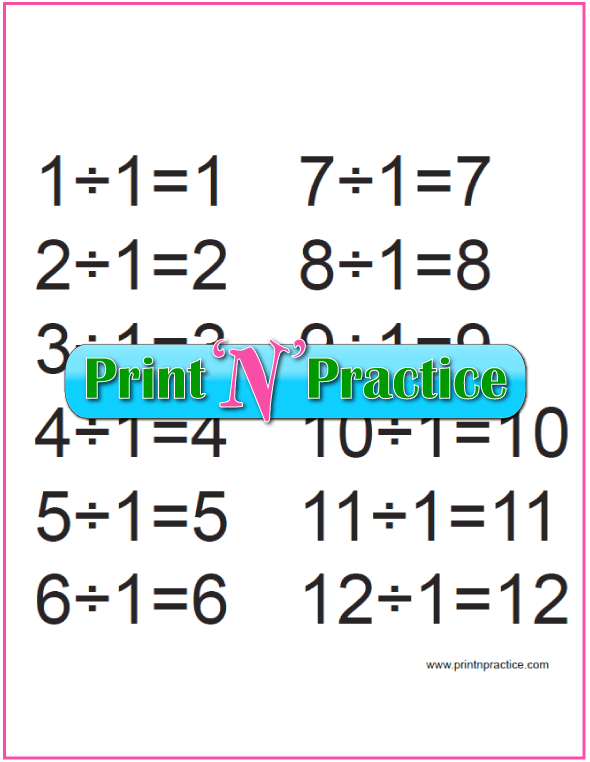 If 3 times 4 are 12 then 12 divided by 4 are 3. This is super handy review for older children. 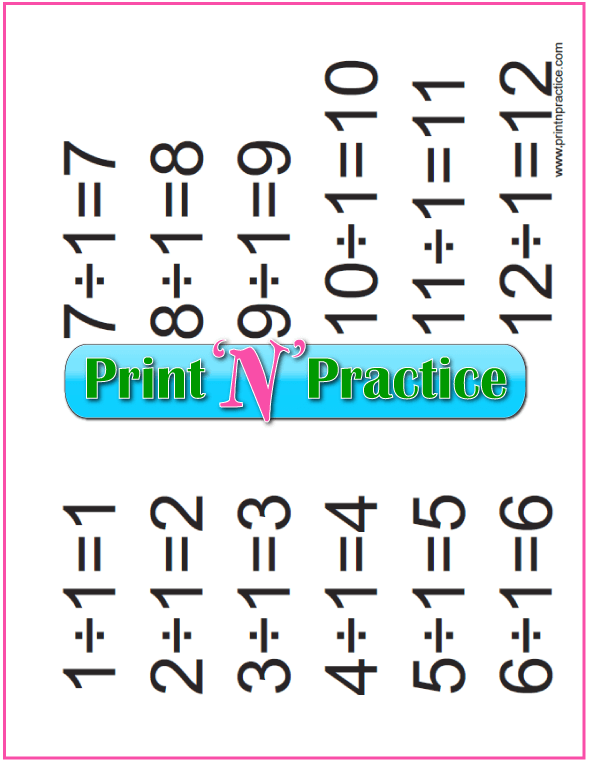 Division flash cards are versatile enough to use for practice, quizzes, and division games. 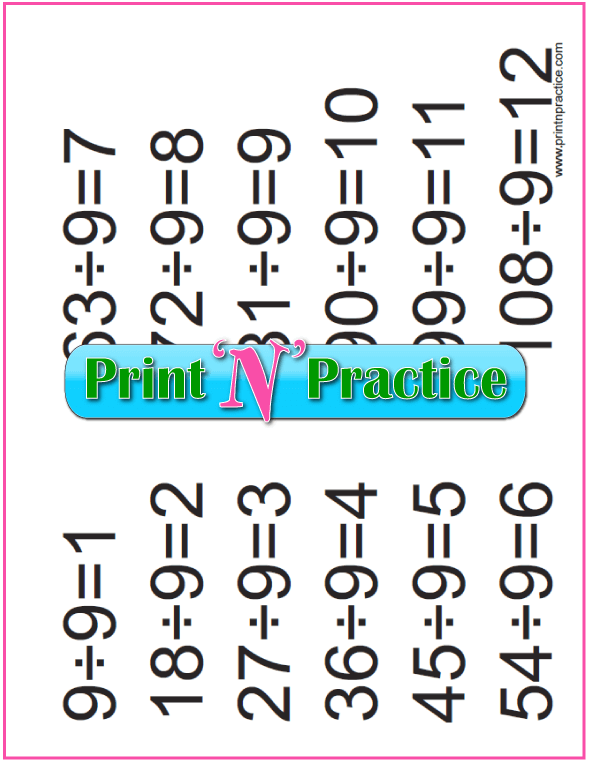 These are ink friendly and have the answers on the opposite side if you want to print them double sided. 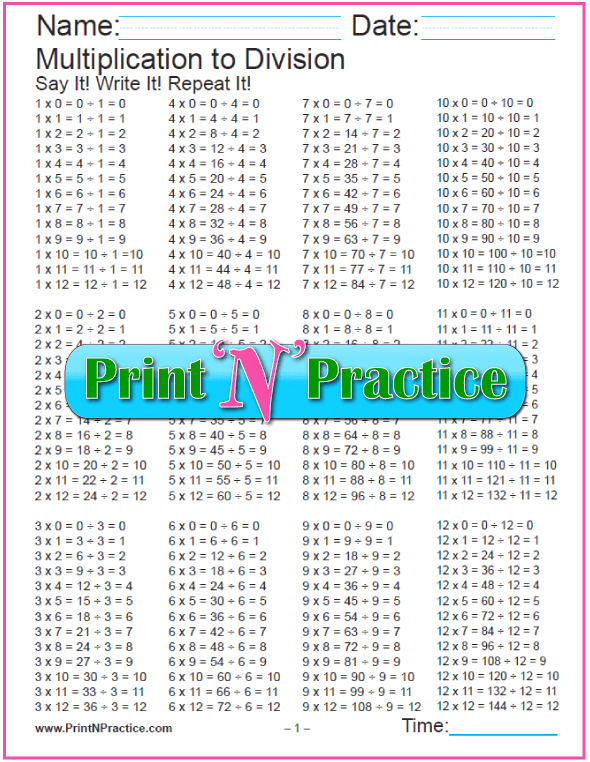 Six pages each - prints to double side, one with answers, one without. 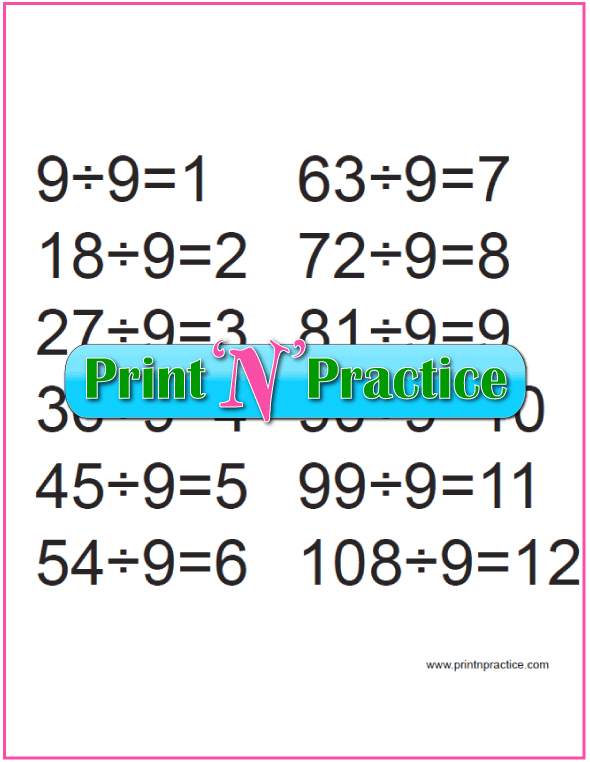 Print separately to one side if you like. 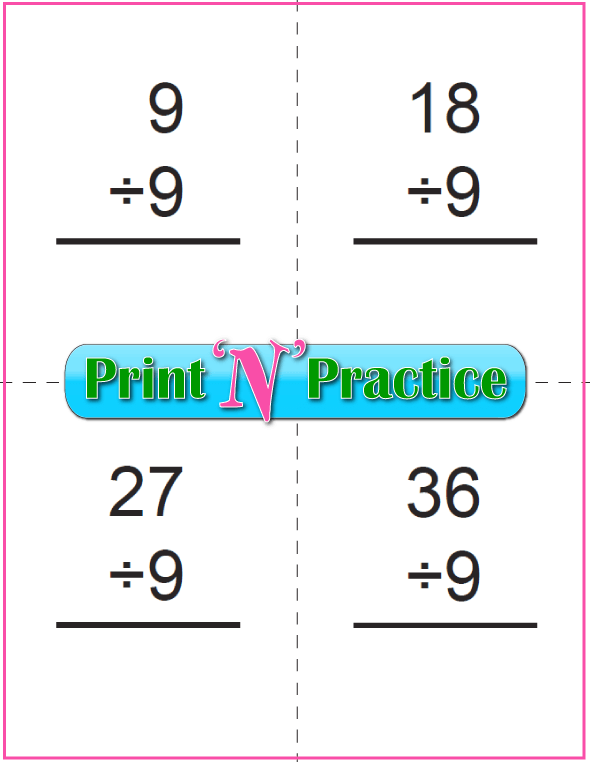 Flash cards give kids a break from filling out third grade division worksheets. 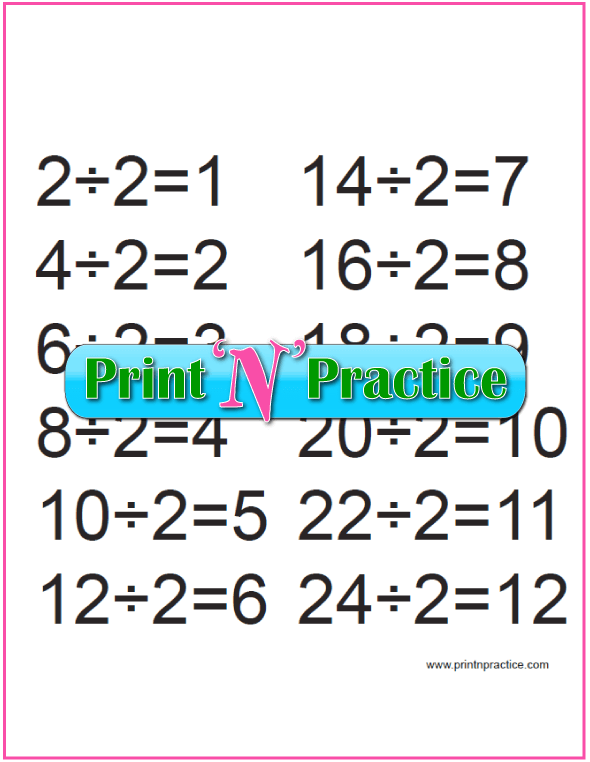 Practice with the answers first, then quiz without the answers. 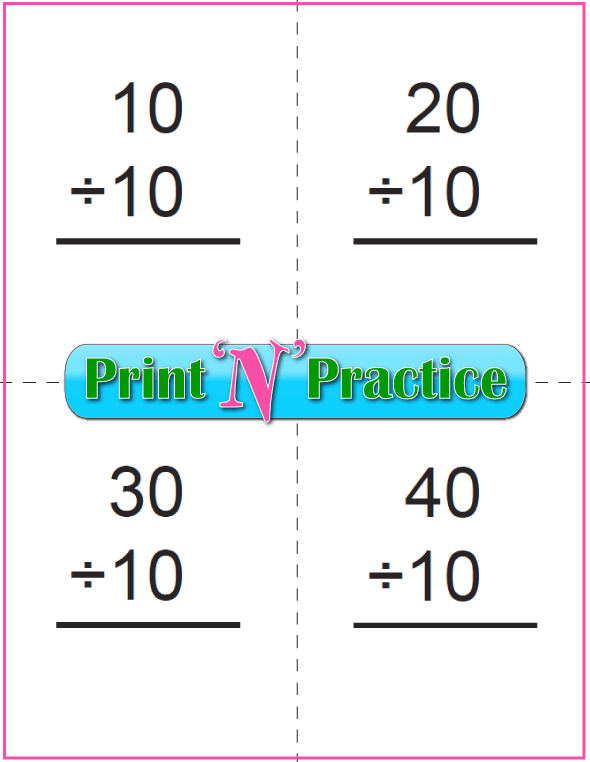 Speed up with timed quizzes for competitive fun even with only one child. 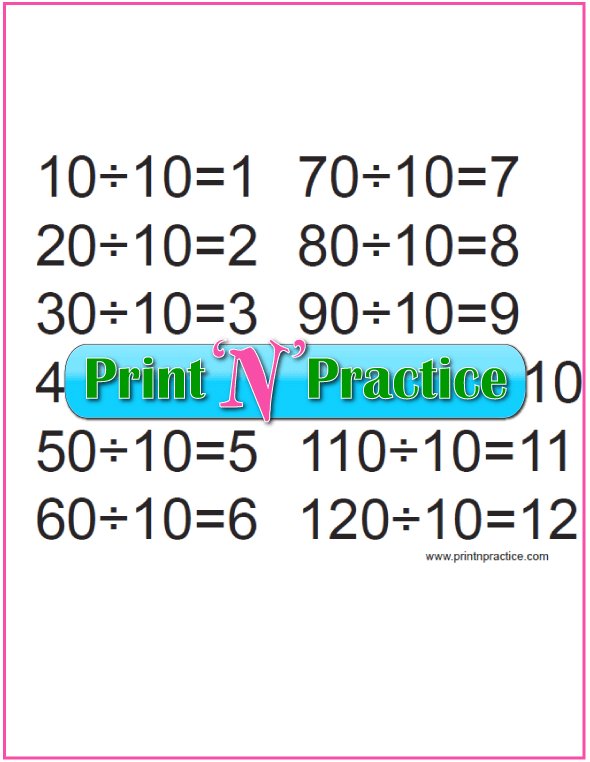 Some children love to beat their own times and love to chart progress. 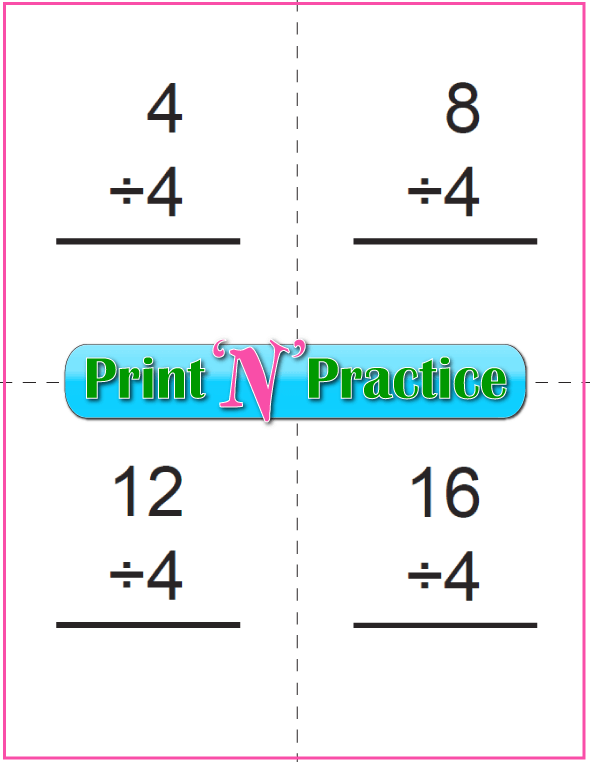 Have fun with division games by printing double sets for matching division games like Memory or Concentration. 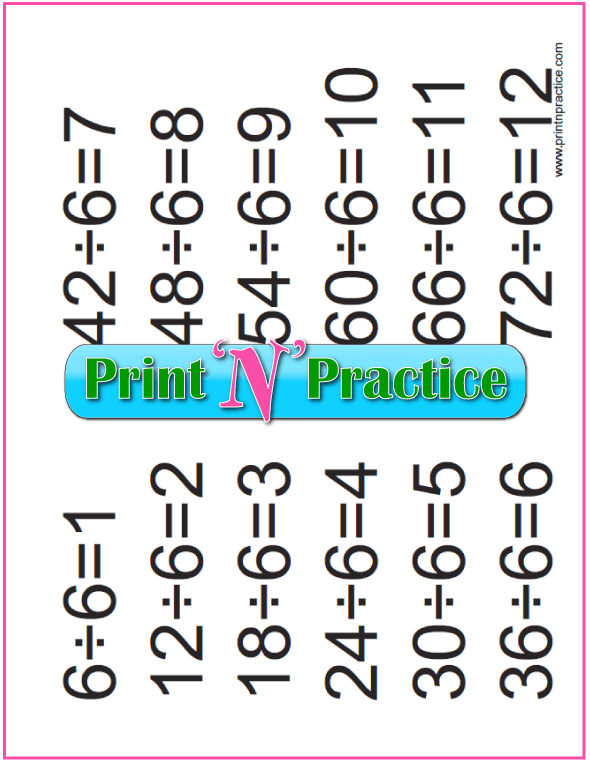 Use the landscape division charts as Math posters - hole punch and hang them like a calendar near your where your kids do their Math homework and change the table they are learning as they go up the scale. 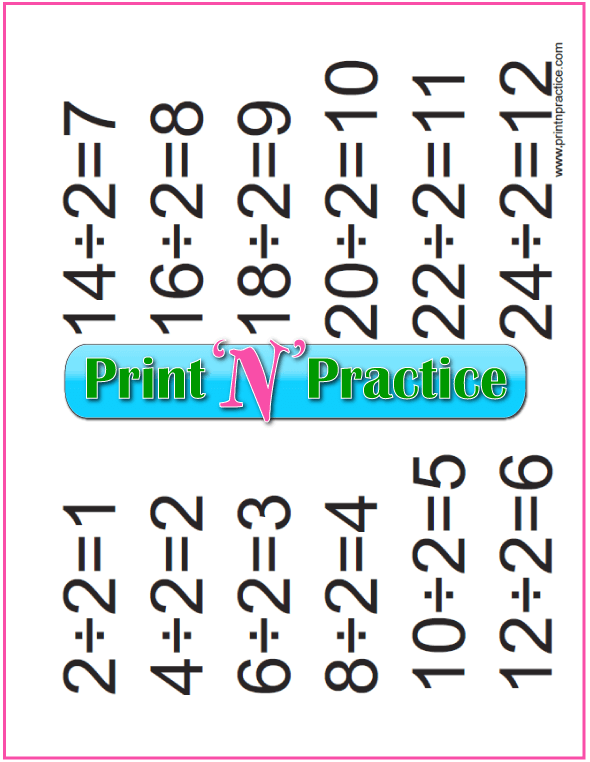 These work well in a binder, too, and can be used like a flip chart. Below these you can use the portrait division charts on a clip board. They're below the landscape charts. 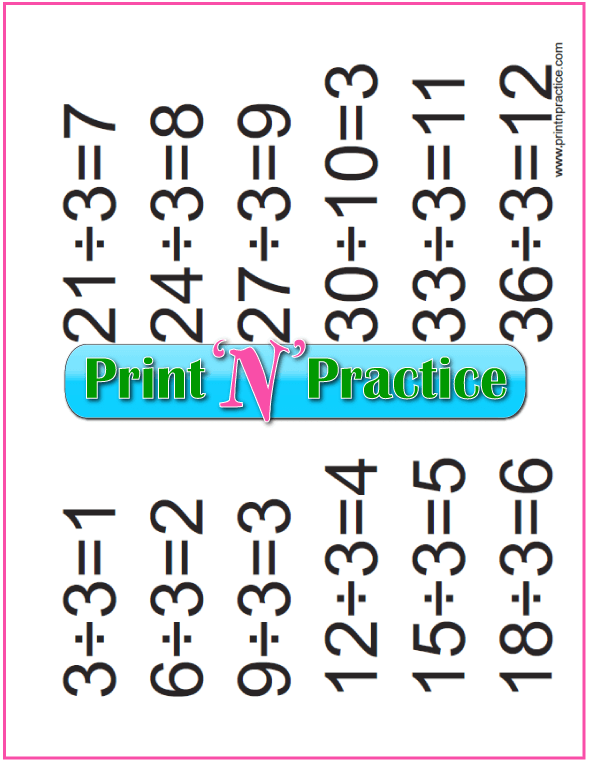 Remember to cover the equations with your hand or a card with these 3rd and 4th grade division charts. 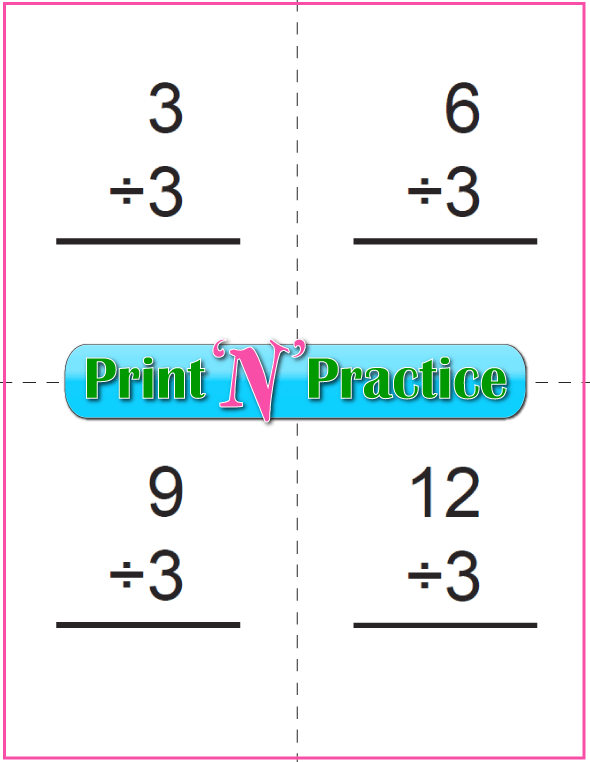 You can also fold the papers in half if your student needs help paying attention. 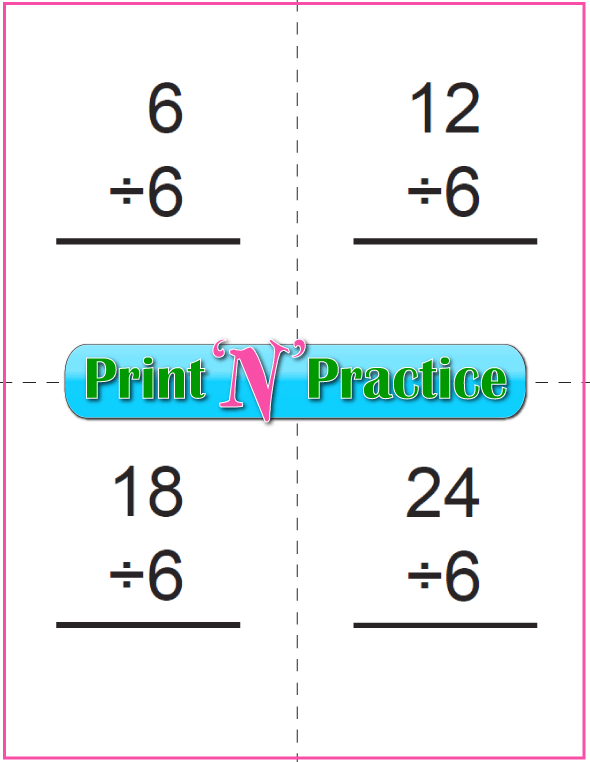 Use with our third grade division worksheets. At the top of these division charts there is space for the clip on a clipboard. 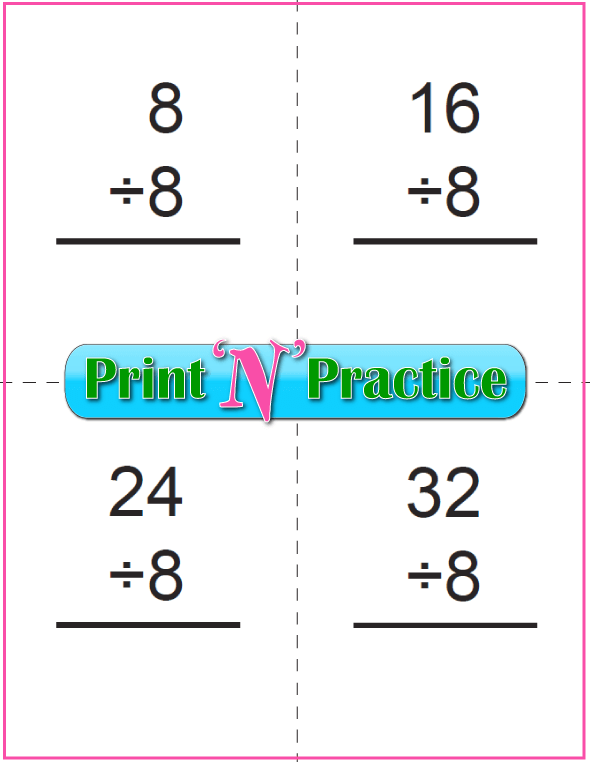 This is my favorite way to show the division facts quickly when several children are working on the different tables that go with our third grade division worksheets. Thank you for visiting our third grade division worksheets and flash cards!